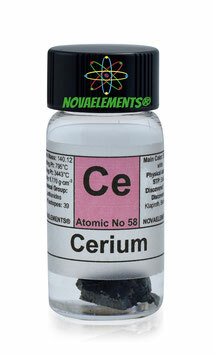 Cerium is a rare-earths metal with chemical symbol Ce and atomic number 58. 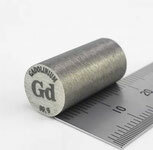 It is a solid and golden metal at normal pressure and temperature, is very hard to cut. Easily oxidizes turning its surface in black. Rare-earths metals are a big element family also called Lanthanides (due to the first element which open the group), in this family there are some rare elements like Europium, Thulium, Lutetium, Dysprosium, Holmium, Erbium and more, search in our catalogue the other rare-earths metals. 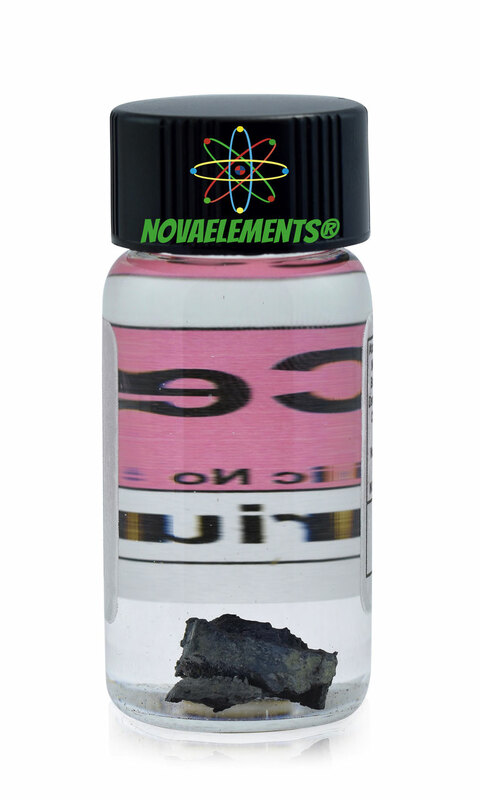 We suggest this element at the purity of 99,95% in a 7 mL glass vial with about 2 cm of diameter filled with mineral oil. 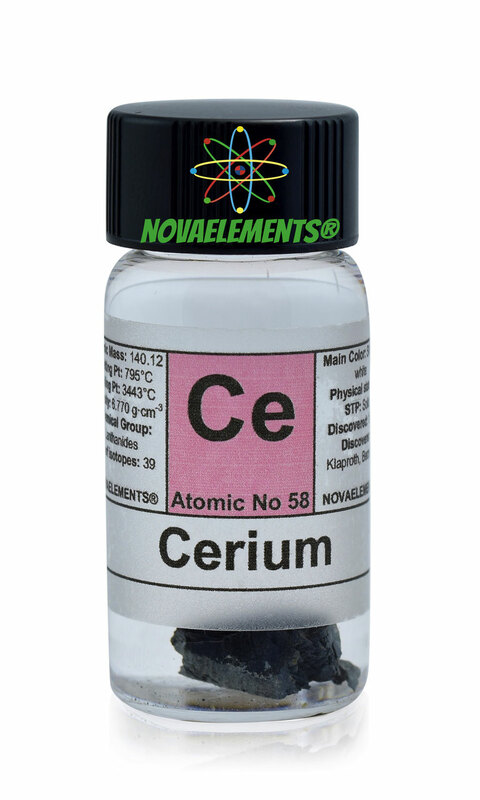 Normally available in 1 day, you can order below your cerium metal sample. 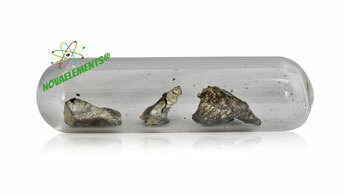 High purity Cerium metal element 58 sample of about 1 gram in glass vila under mineral oil. Pure Cerium metal sample.